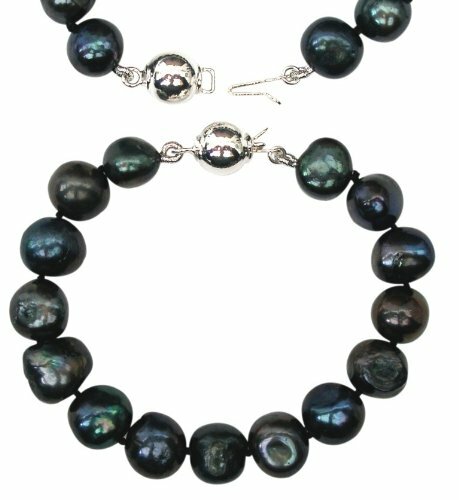 Bridesmaid Peacock/Black 9-10mm Baroque Cultured Pearl bracelet with a pretty hallmarked silver ball clasp, 15cm, presented in an attractive satin silk pouch with a gift card. This bracelet is suitable for children up to age 5 approx. Bracelets are made to a specific size and not an actual age; the sizes are approximate for the age of a child and are for your guidance only. Your child's measurements may vary and we advise that you measure your child prior to ordering.